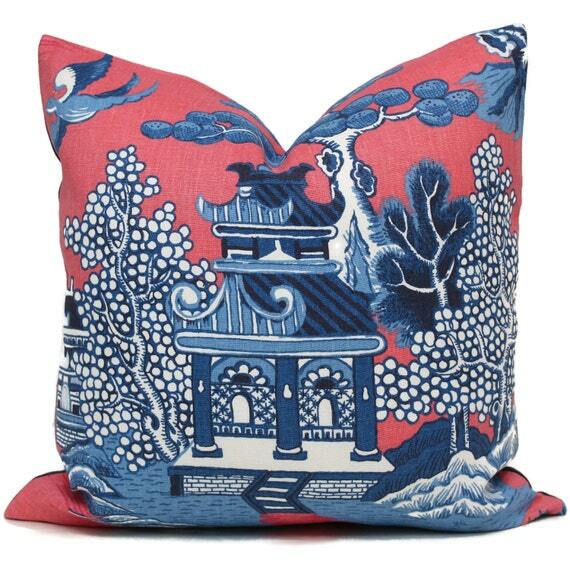 I love a good Pagoda Pillow. I found this one by Society Social when working on my last One Room Challenge. I'm sure it's fabulously worth it but not in my budget. I found this pillow cover on Etsy for about half the price of the one from Society Social. 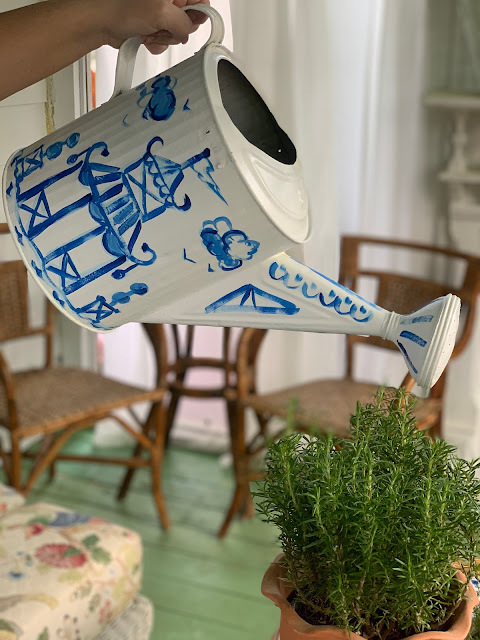 You know we are fans of Neo Toile around here. 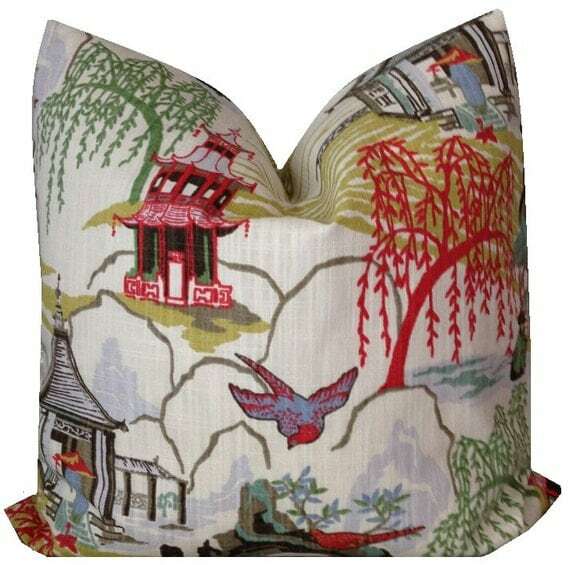 And @wheatonwhaleydesigns has quite a few good pagoda pillow options. 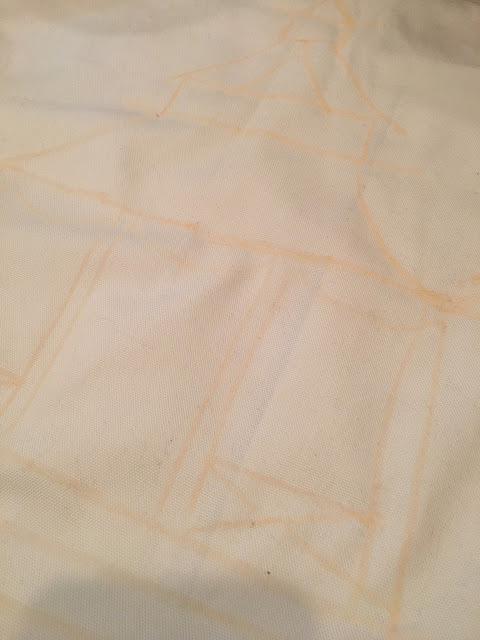 I used this fabric (below) on a lampshade in my Black Library ORC! 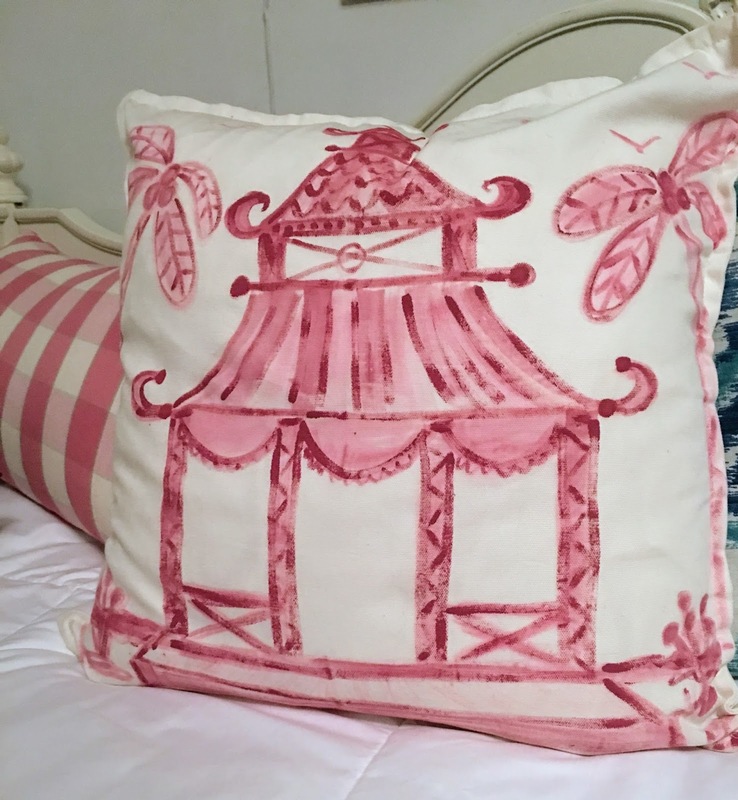 But that first Pink Pagoda pillow had my heart. So, I decided to try and make my own reasonable facsimile. I had this pillow cover from IKEA. 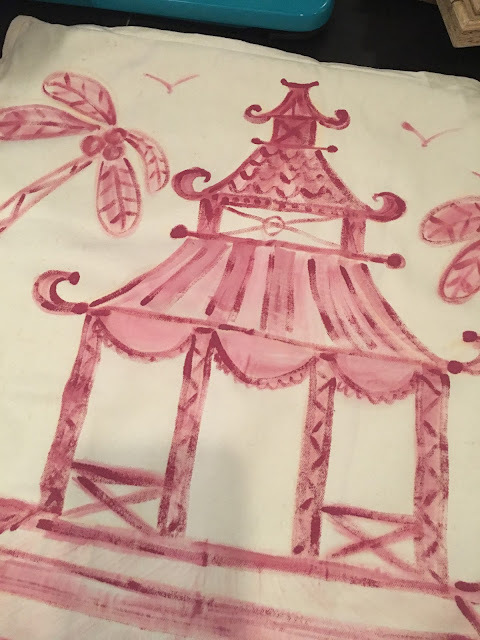 And more of the Sherwin Williams Ruby Shade paint that I used for my IKEA curtains. 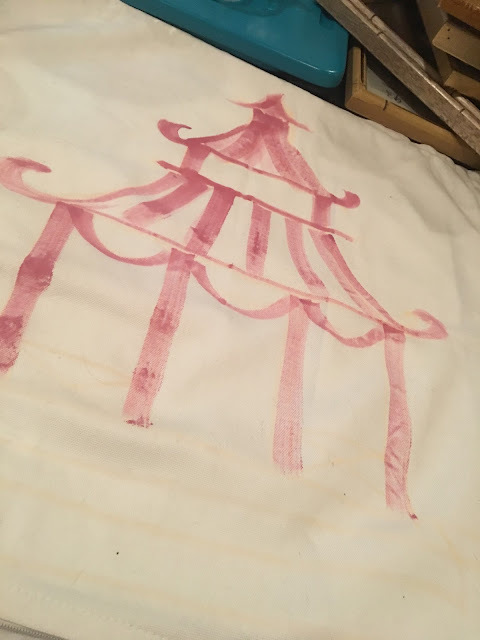 I explain the hand stamping method for the curtains here. 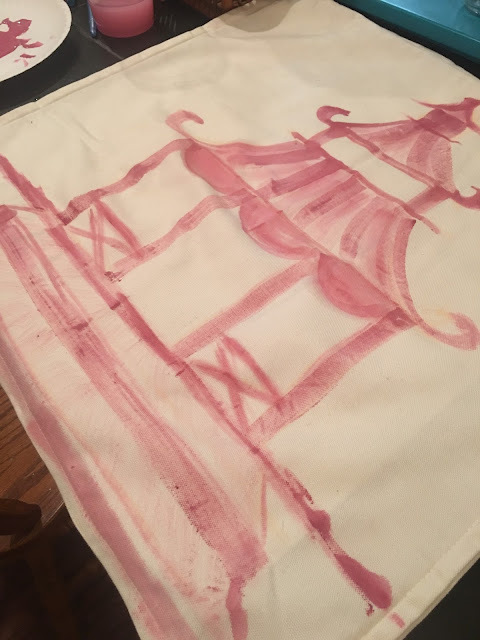 So, I just took a paintbrush and painted a pagoda on my pillow cover. And I stamped the same design as the curtains on the back. 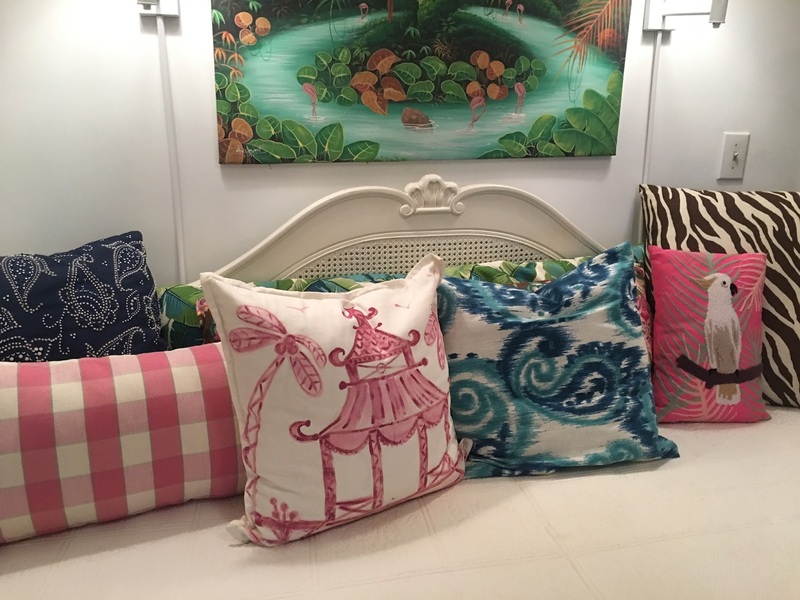 but I think it adds a lot to the pillow mix on the daybed. I'm ready to paint a blue one now! I just have to find a spot for it first. It was quick and fun - try painting a pillow! cIf you set out to make me think today; mission accomplished! I really like your writing style and how you express your ideas. Thank you. Thank you! I hope you make a pagoda pillow!